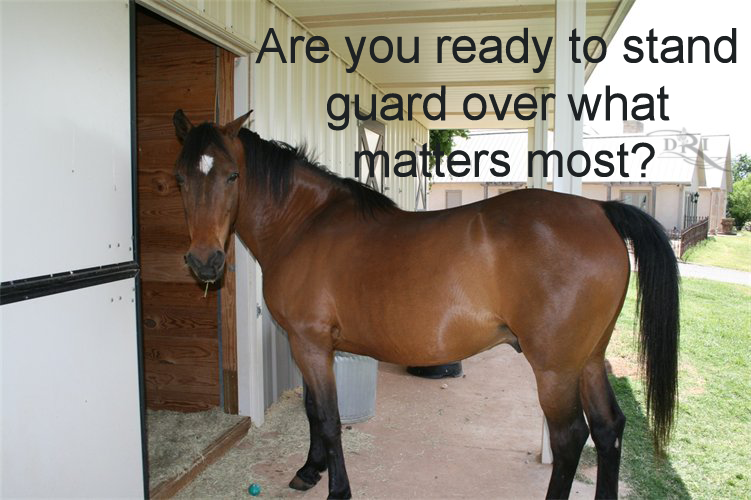 Are You Ready to Stand Guard Over What Matters Most? Right now, many of the people I am helping by partnering with them have reached the same plateau. It is the most exciting, and yet scary part of what I do, leading people to Stand in their Power and then watching and participating as they do. Until that moment, that moment they can see the truth, the moment they are ready to embrace the unthinkable, it is hard to prepare them for what is coming and although we have worked together on any and all interactions with their abuser to determine what to text, what to say, or what not to say or do, and how to do whatever is determined best, there is always this disbelief that this person they once cared about or loved will do what is being predicted, but then it happens. They see with their own eyes, and experience it fully, these individuals who they thought they loved are who they feared they were. These individuals are capable of doing what deep inside they were afraid they might be able to…and they realize their inner knowing had awareness all the while; this person has intent to harm, intent to control and it defines them. We all know no contact is the goal. The path to arrive is not always the same. This awareness of the true conscienceless being they were in relationship with was a truth they were afraid to face fully, but now, when it is too in their face to ignore, the preparation we had worked toward together, ignites them, they are ready, afraid but ready. When they are truly ready to stand in their power they have decided that they have had enough of the manipulation and control. It is a true moment, where they get these manipulators will indeed stop at nothing. In this moment they decide to stand for what is right and true and they will not fear the lies that are dangled over their heads as a weapon used to manipulate them into cooperation, they will do what is deemed appropriate, stand against or ignore the evil claims, that they are crazy, a bad mother, a drunk, or have done something wrong that will shame them. The way to win is to stand in truth. Fully in truth, no fear of the lies and intimidations, yet you must do so wisely. It is in the moment of full awakening, that you are ready to stand guard over what matters most, your home, your heart, your children. 2. Drop your need to protect them. They likely taught you that you would be disloyal or unkind if you did not always stand for their “honor.” If ‘they” didn’t teach you that, it may have been ingrained at an earlier time. Do what you can to release that belief. This belief was programmed so that you would feel guilt if you didn’t protect them, and what did protecting them cost you? It is time to fend for yourself. 3. Do not engage in conversation. If no contact is impossible then you have to learn how to communicate as necessary but not engage. I spend a great deal of my time helping in this arena as individuals share with me what has been said and look for guidance on responses. This is truly an art and it is borne from your ability to PREDICT their behavior, something I am skilled at…due to excessive experience. These manipulators are more predictable than you may have considered. Once you can predict their behavior, what to do next becomes more obvious. 4. Remember that you have a say so in how your attorney presents things. Also remember you need to listen to your attorney!!! I do not give legal advice. I predict behavior which has nothing to do with the law. My thoughts are for consideration, but your attorney knows the law. Heed the guidance. You also need to remember that not all attorneys are clear on how deceptive, vindictive, outrageous a person you are dealing with…stand in your knowing. Help them see the truth, rationally and logically. Presenting a logical strong case TO your attorney to help to defend you is also something I can help you with. There were multiple turning points that reflected my power and ultimately caused the abusers to disappear. There were many times that my strength enabled me to act in ways previously foreign to me. As I said, in our Awake state, we can see lifelines we never could have seen while asleep. My final attorney had come to respect and honor my crazy predictions about my abusers’ behavior. I say “final” attorney because I had to be strong enough to release another attorney who didn’t have my best interest at heart, which was very difficult. Remember in places of authority, sociopaths lurk. During the battle for my exit, one of my abusers had managed to claim that certain items at my home were used for his business, and a judge had ordered that I give him access to these items when he needed them. He was required to give me very little notice. He would claim to need these items frequently, as an excuse to come to my home and intimidate me. In these moments, I found having a private investigator there to film to be very powerful. Remember, to these abusers the click in the chamber of a gun ignites less fear, than the click of a camera. As my fear diminished, I could see more clearly every day. I decided this time when the notice was given, I would refuse to honor the legal agreement to the use of the property. This decision was vehemently against my attorney’s advice. I stated I would rent a similar item for my abuser to use if it was necessary. The response from opposing counsel was that there would be contempt charges against me, which would likely result in jail time. I stood my ground. I wasn’t afraid. I couldn’t see a judge caring where the item came from as long the equipment was made available to serve the purpose of the “claimed” need. Authority just wasn’t that scary anymore. I was my own authority now. I was finally willing and able to file contempt or domestic violence charges as appropriate on them, as well as to risk contempt charges on myself. I was willing to take steps to protect myself, even if it meant that they would get in trouble. I was no longer intent on holding their piece. My focus was my safety. Their protection was of no concern to me. It was clear to all parties, the game had changed. Ultimately, cameras were my hero. They captured things that were too evident to run from. The key is to let the fear that you likely feel upon awakening, transition to adrenaline to keep you finding ways out and strengthening your self-esteem. Wield your sword of protection boldly and with precision. Seek help. If you have a gut intuitive feeling that the help you chose cannot be trusted, then keep looking for other help. Break the string the moment you see the person on the other end is operating from their shadow. The moment you see or feel that someone does not have your best interest at heart, simply tug that string and break it, don’t ever let that string become a rope, more securely attached to you to your detriment ever again. After all the battles had subsided, given some of the situations I had dealt with, I decided to involve the Office of Internal Affairs of the local police department. Awake, I was a force to be reckoned with, and I will be forevermore. It is in the moment of full awakening, that you are ready to stand guard over what matters most, the sanctity of your home, your heart, your children. Awakening your thorns of protection, it is not about harm, or vengeance, it is about no longer allowing abuse and threats to control your life.